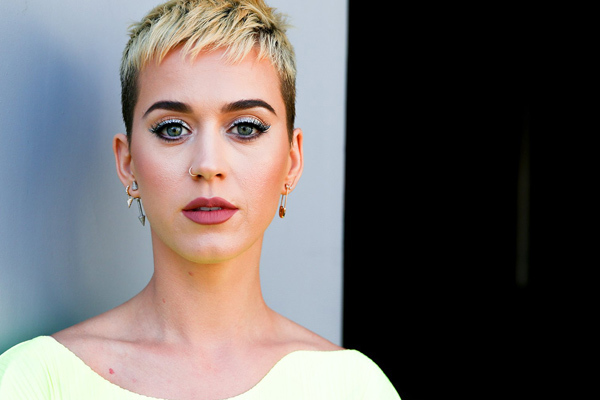 MUMBAI: Singer Katy Perry, who is reportedly dating Orlando Bloom again, admitted that she is not single during the finale of American Idol. During Tuesday's finale of American Idol, the singer, 33, revealed she is no longer on the market when she hilariously professed her love to special guest, "Bachelorette" star Becca Kufrin. "Can I be in the running?" Perry jokingly asked as she got down on her knees and gave Kufrin a kiss on her hand. "Yes, I'll give you all my roses," the reality star responded as Perry remarked, "I'm not single but I still like you." Though she did not specifically reveale her boyfriend's name, she and Bloom have been spotted on numerous occasions of late, reports people.com. Just last month, the Roar singer and Bloom, 41, travelled to Rome together, where they met Pope Francis in Vatican City. Also in April, the father of one let the world know about the strength of his feelings for Perry. MUMBAI: The Indian-origin singing sensation Alyssa Raghu, who made it to the top 24, stole a million hearts and garnered a massive fan following with her powerful performances last year on American Idol Season 1. MUMBAI: Singer Katy Perry and actor Orlando Bloom want to have children as soon as possible. "Katy is slowing down her career this year. They want to get married and start a family sooner rather than later. MUMBAI: Singer Katy Perry says she got engaged to actor Orlando Bloom on Valentine's Day this year, following a three-year on-off romance. MUMBAI: Singer Katy Perry was slammed on social media for designing shoes which resembled blackface imagery. MUMBAI: Sony Music Entertainment artists representing a diverse range of genres from across the company’s labels were recognized for their outstanding achievements tonight at the 61st Annual Grammy Awards, held at the Staples Center in Los Angeles and hosted by 15-time Grammy winner Alicia Keys.